The game of Pickleball has been around since 1965. It originated in Bainbridge Island, Washington when two men decided to use an old badminton court to get their families out of the house and give them something to do. They couldn't find badminton rackets so they improvised and used ping pong paddles with a perforated ball. 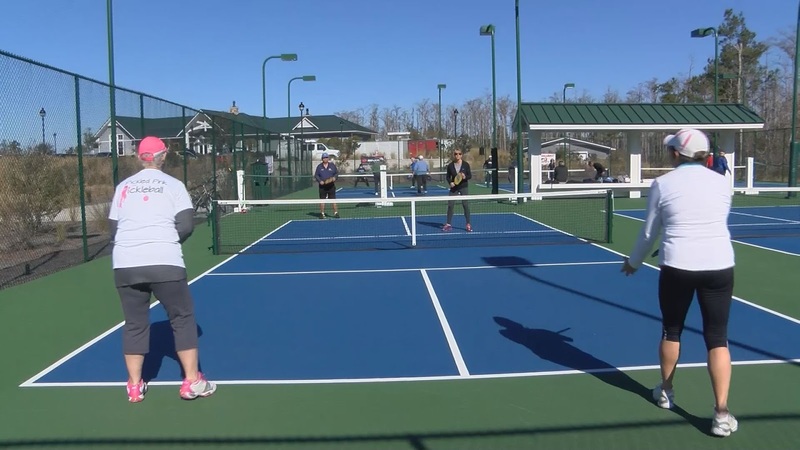 More than 350 people are members of the Brunswick Forest Pickleball club. 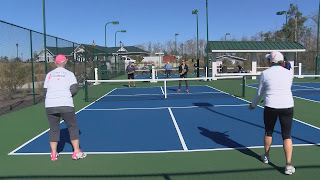 They play on brand new pickleball courts in the community almost every day. The courts are similar to tennis courts but they are much smaller in size. Don't be fooled, the game can be very challenging. "They say you're not really supposed to be doing a lot of running. If you're really good you're supposed to be at the net doing this kind of thing (pivoting with the paddle) said Nancy Camden, pickleball player. Pickleball is played with a smaller version of a wiffle ball and a paddle, NOT a racket.